International Journal of Research in Health Sciences,2013,1,1,23-27. 1Assistant Professor of Microbiology, SV Medical College, Tirupati, AP, INDIA. Dengue fever and dengue hemorrhagic fever have been known to be endemic and reportable diseases in India since 1997. 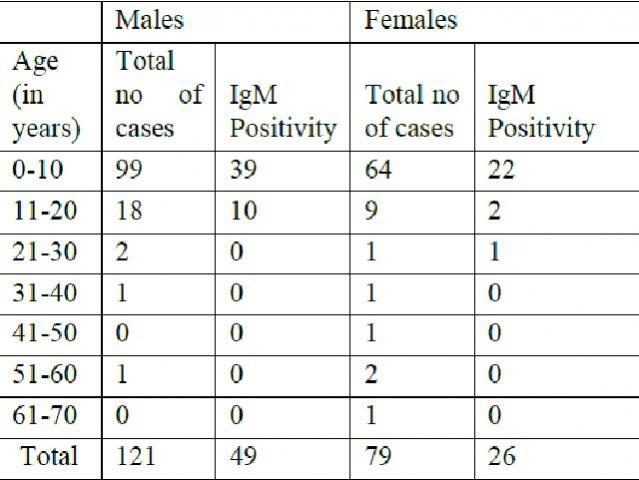 The present study was conducted in the Department of Microbiology, S.V. Medical College, Tirupati from August 2007 to July 2008. Most of the cases reported were from the young age groups. These were people who were active outdoors, whether working, schooling or playing outside their homes. The most common clinical presentation was fever.